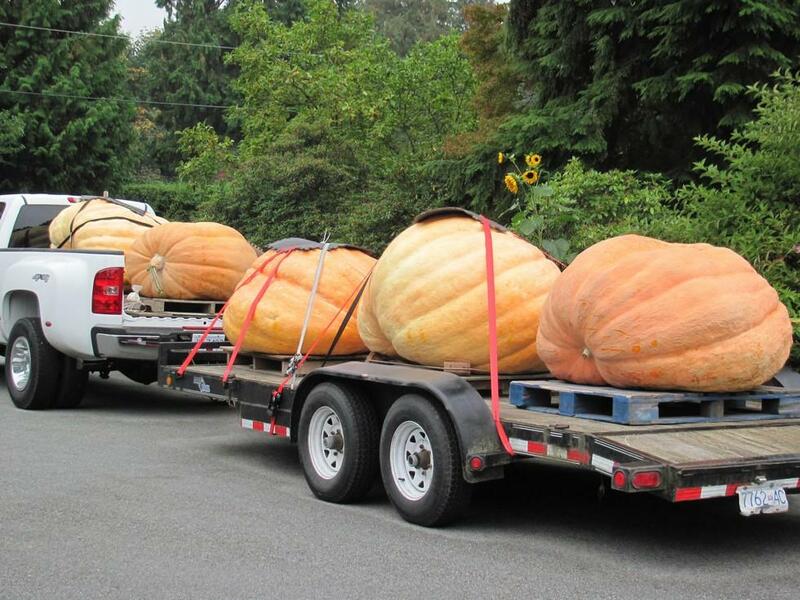 Krause Berry Farms and Estate Winery in Langley, BC, will be hosting BC’s Official Great Pumpkin Commonwealth and Certified World Recognized Giant Pumpkin Weigh-Off Event again this year! Time: Contestant’s arrival time is between 8:30 and 10:30 AM. Weigh off start time is 11:00 AM. Giant pumpkins (squash, tomatoes and watermelon) are weighed in the order of their estimated weight, lightest to heaviest, with the largest pumpkins being weighed last. The length of the weigh-off depends on how many registrants enter. Last year the winners were announced at 2:00 PM. Sponsors set up time is 9:00 AM and take down time is between 3:00 and 5:00 PM. Location: Our host sponsor Krause Berry Farms and Estate Winery is located at 6179 – 248th Street, Langley, B.C. Sponsorship: Corporate Sponsors will be providing cash and prizes for 1st, 2nd and 3rd place…all the way up to 10th place!! Raffle draw prizes and more…! Click SPONSORS to view the sponsorship opportunities. FREE ADMISSION for spectators: Please arrive early to Krause Berry Farms for brunch/lunch and enjoy the festivities! It’s Family Day!! Pick your very own pumpkin from their fields while checking out the Giants! Then, visit The Porch, The Market, The Bakery & KB Coral because they are serving everything PUMPKIN! Pumpkin pie, ice cream, waffles, shortcakes, fudge, milkshakes and all of your other fall favourites! Saddle up in their Estate Winery and enjoy a taste of their award winning wines before heading out for one more look at the winning Giant Pumpkin! Enjoy the show!! Kids will also enjoy Cinderella from 12:00 to 2:00 as well as Face Painting and Music 🎵 on the main stage from 11:00 to 3:00! Thanks for your message! Sorry for the short notice, but if you are able to pick up pumpkins tomorrow afternoon Sunday Oct 28th please let me know.